Joyce Glasser reviews Can You Ever Forgive Me? (February 1, 2019), Cert. 15, 106 min. 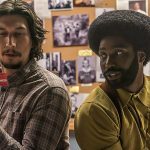 This humorous yet touching and perfectly constructed biopic was always going to depend on the cast, as it is very nearly a two-hander. 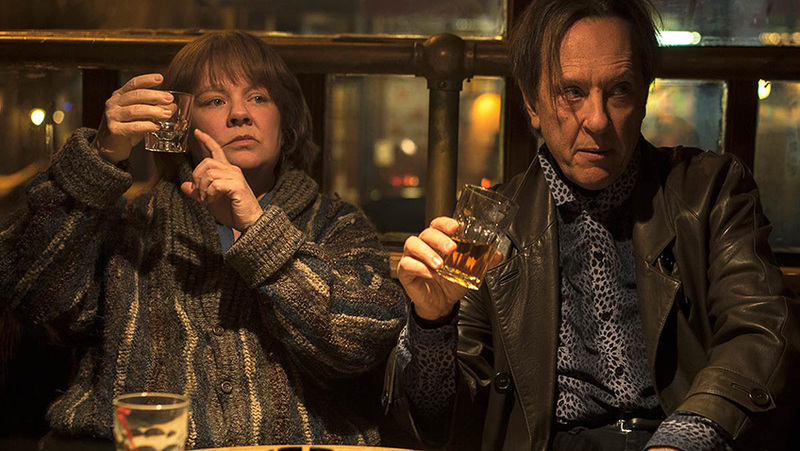 Fortunately, Melissa McCarthy, acting against type and playing a slightly older character is great and Richard E. Grant, retains a hint of Withnail (Withnail & I) in his fabulous performance. Their unusual chemistry contains an underlying tension and wariness that reflects their characters’ differences as well as their similarities. The Academy Award nominated screenplay by Nicole Holofcener (Enough Said, Friends with Money) and Jeff Whitty (the musical, Avenue Q) features a witty repartee and co-dependent relationship of two gay misfits living in the margins of New York City society nearly a decade before 9/11. 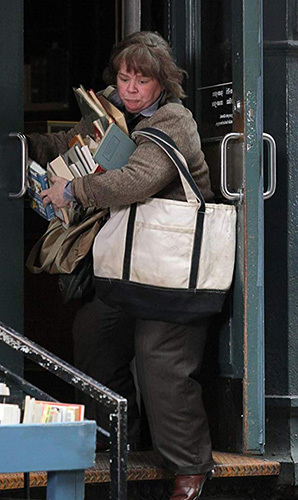 Based on the late New York City born, bred and educated writer Lee Israel’s autobiographical memoir, the title Can You Ever Forgive Me? : Memoirs of a Literary Forger , is a line taken from a letter Israel forged by Dorothy Parker whose continual pleas for forgiveness were more stylish flourish than sincere. For when Israel’s chances of having another celebrity biography of Fanny Brice published are dashed by her candid agent Marjorie (a well calibrated performance by Jane Curtin), Lee turns to forging literary letters; spicing up existing text to increase their price, or stealing existing letters and replacing them with copies. In real life, Israel had written three biographical books of female celebrities, and her second, Kilgallen (1980), was the title that Lee refers to in the film (though not by title) as being on the NY Times Best Seller List. Israel’s downfall was not only, as Marjorie suggests, her unkempt appearance, difficult personality, drinking problem and unwillingness to promote her books, but an unauthorised biography of Estée Lauder (Estee Lauder: Beyond the Magic ) written hastily to beat an ‘authorised’ biography rushed into print after Israel refused to accept money from Lauder to scrap the biography. While this incident tells us something about Israel’s moral fiber, pride and prospects, whether for legal purposes or other, none of this background, or Israel’s three books are mentioned in the film. Instead, Marjorie tells Lee that the world does not want another biography of Fanny Brice. When Lee asks Marjorie why she could not get her even a tenth of her client Tom Clancy’s multi-million dollar advance, Marjorie advises her to ‘go out and make a name for herself’ before comparing herself to Clancy. Lee does just that, but not in the manner anyone would have expected. Brandon Scott Jones in Can You Ever Forgive Me? Director Marielle Heller makes a point of putting us into New York City 1991, at the dawn of the age of personal computers and Apple, but before the era of smart phone, Kindle and internet shopping, honing in on the cosy, independent bookshops that bought literary letters and rare manuscripts for cash. Lee’s well-lived in apartment, comfortable and pleasant, but modest, is shared with a twelve-year-old cat and flies, as the caretaker will not fumigate until Lee pays the overdue rent. It is when Lee cannot raise money from her old books to pay her cat’s vet bill that necessity becomes the mother of invention. Lee notices a letter she received from a grateful Katharine Hepburn (in 1967, just before Spencer Tracy’s death, Lee wrote a profile of Hepburn for Esquire) that is hanging on the wall, and she goes into a bookshop to sell it. In contrast to the insensitive bookseller in the used book store, Anna must be the most guileless, sincere and sweet proprietor in the city. 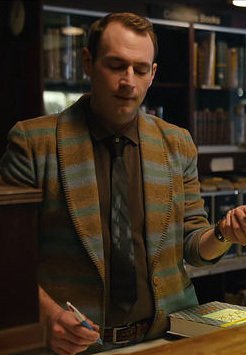 Anna not only buys the letter, (most literary letters, she gushes, have the interest of a phone book), but tells Lee that she read and loved her biography of Brice. Anna adds that she would happily read an autobiography, a suggestion that the self-deprecating author discounts in another subtle bit of foreshadowing. When Anna reveals herself to be as lonely as Lee, and mentions that she has written some stories herself, the two women go out to dinner in a scene that is not only moving, but shows Lee in a different light, a vulnerable 51-year-old loner with her guard somewhat down. The costumes and set design (scenes were shot in two real, local pubs) add a much lived in atmosphere and authentic character to this scene and all of the film. Anna is left bemused on the pavement when she senses that Lee is not interested in being a part of her life. McCarthy communicates her character’s inability to respond to other people emotionally with a mixture of regret and defiance, a character trait that is highlighted in a scene in which Lee seeks a reunion with her ex-lover. Instead, Lee makes the big mistake of entrusting Jack with her business, her cat and flat while she goes off to steal a letter from a university library (the last library she is allowed into after being permanently banned as a result of her court case). In a year, Lee sold some 400 embellished letters, turning to stealing them when a collector who knew Noël Coward complained to a book seller that Noël would never be so explicit about his homosexuality. But for the most part, her revelatory embellishments, born out of her research into the writers’ lives and a real knack for the anecdote, were what increased the value of the original letters. Just as in fine art forgery, there was an art to Lee’s work and while she accepts her punishment, she has no regrets because it was the only time that that she could write freely and creatively, without giving herself up to criticism.This unapologetic cynicism is reinforced by a scene, and a postscript, informing us that Lee’s forgeries continue to sell and are still included in some official biographies.